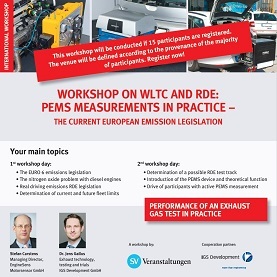 In cooperation with Sueddeutscher Verlag Veranstaltungen GmbH and IGS Development, we conduct workshops for PEMS measurements on the vehicle. Since September 2017, WLTC is the relevant test cycle for emission measurements. This also determines the fuel consumption of a vehicle. The results of this are now part of the German motor vehicle tax. The aim was to determine realistic fuel consumption values. Nevertheless, the introduction of the WLTC in the exhaust gas scandal has almost disappeared in the public perception, as the European Community is now placing a much higher priority on "real road emissions". This massively accelerated the introduction of road measurements within RDE legislation (Real Driving Emissions). But even the old NEDC has not had its final day. Until 2019, it will remain the test cycle to determine CO2 fleet targets of vehicle manufacturers. 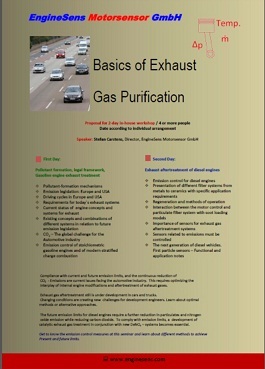 A Portable Emission Monitoring System (PEMS) measures NOx emissions and the number of particles on the road. IGS Development provides the PEMS device and vehicle. The measuring route is determined in co-operation with the participants. 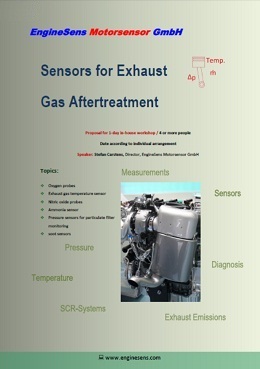 They are also involved in the zero and span gas calibration measurements. The defined route is traveled with participants as passengers. This gives the passengers an impression of permissible accelerations and gives an idea of the "moving average window method". After the trip the results will be analyzed and discussed together. These workshops require considerable organizational effort. Calibration work must be carried out in well-ventilated locations and further frame conditions have to be considered. Therefore, the organizer SVV has decided to introduce a waiting list. As soon as between 8 and 15 participants have registered, the workshop will be organized and carried out. It will take place in the region where most of the participants come from. This can also be in neighboring European countries. If non-German speaking participants are present, talks will be done in English. Driving cycles: NEDC, WLTP, FTP, SFTP, etc. The following events can be organized as in-house workshops. The content will be determined individually with the customer. A minimum group size of 4 participants is recommended. The seminars can be conducted in English.